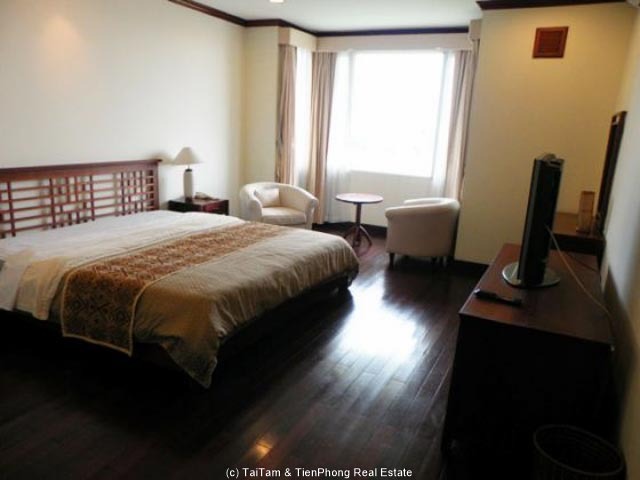 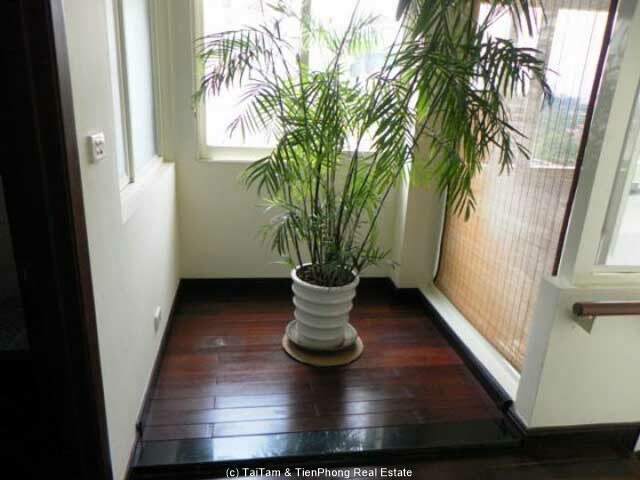 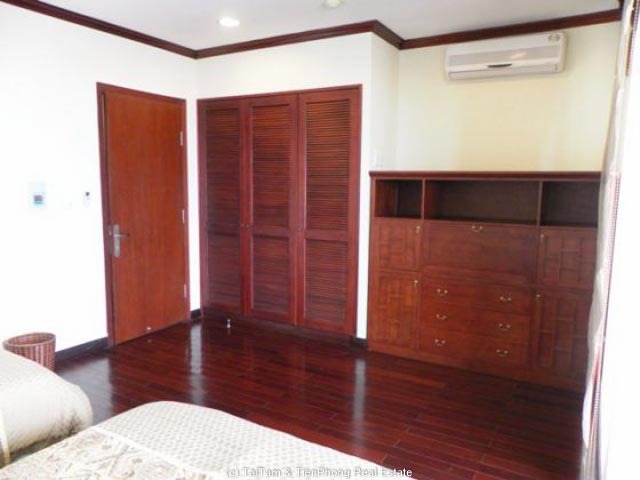 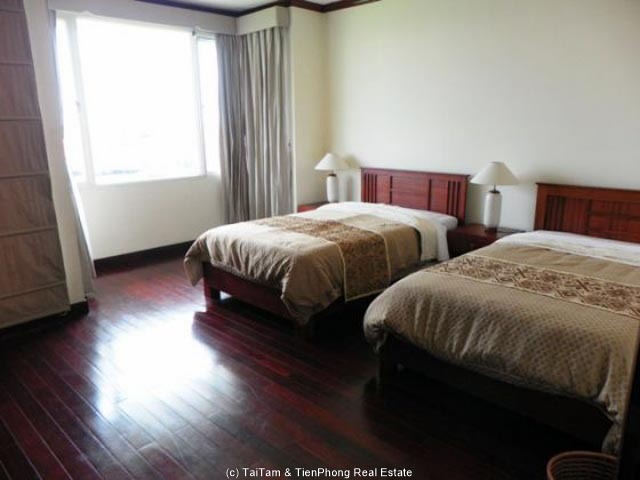 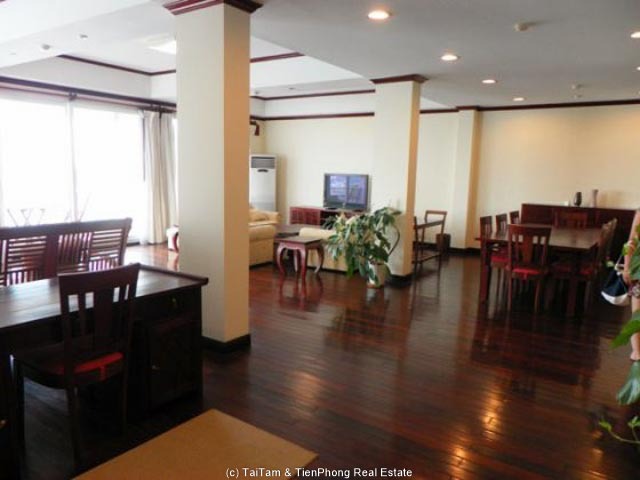 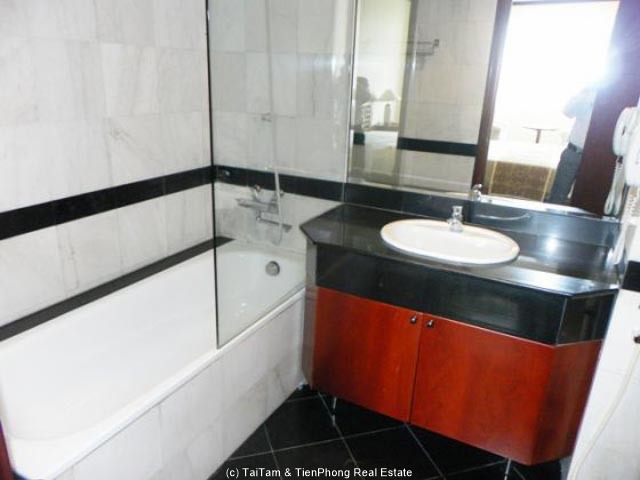 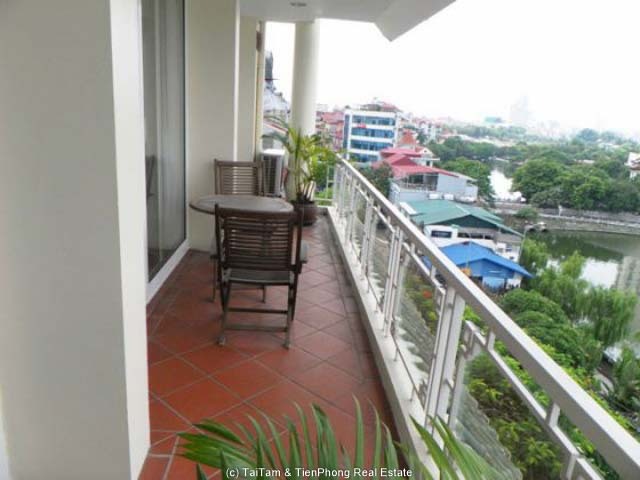 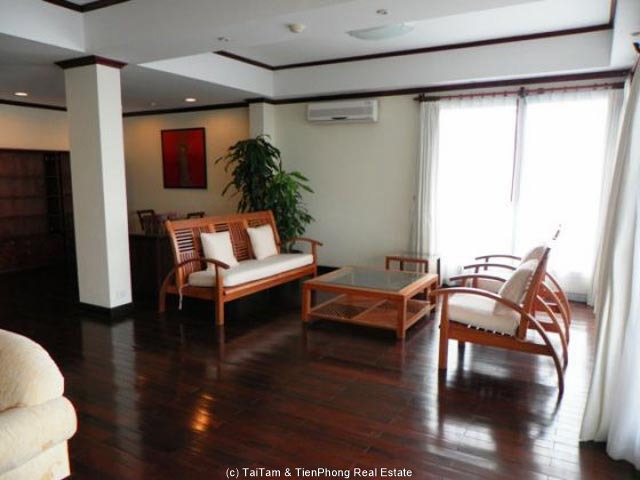 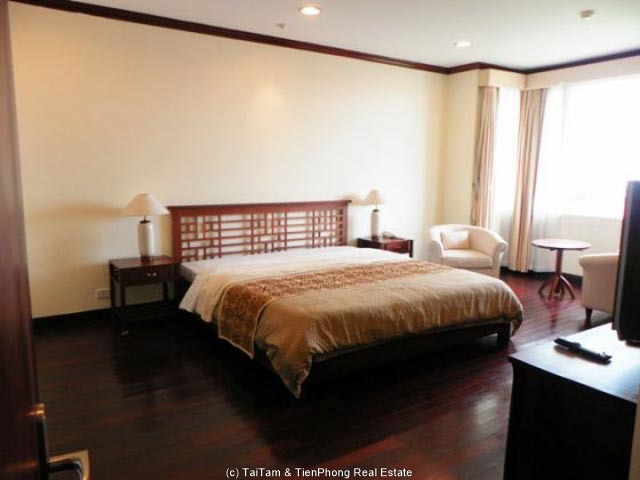 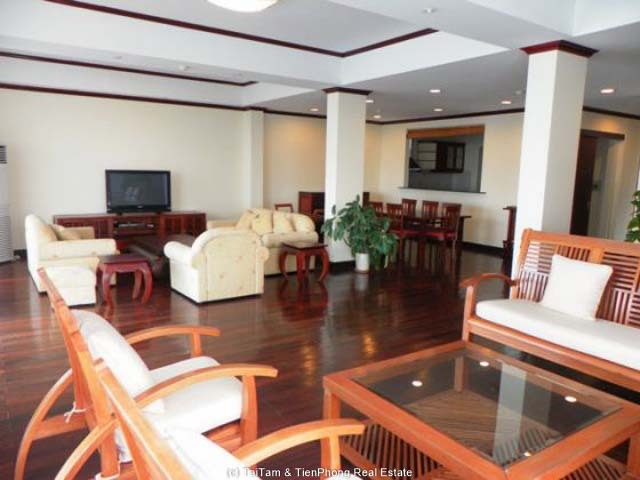 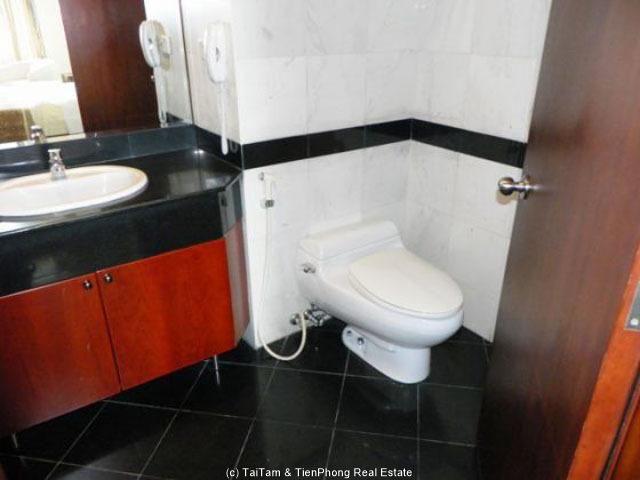 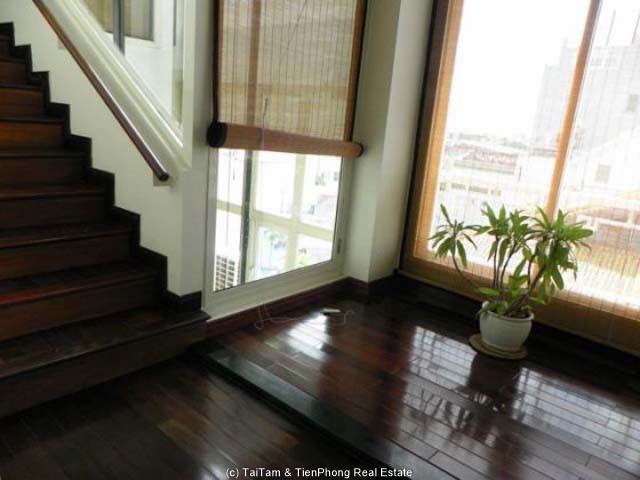 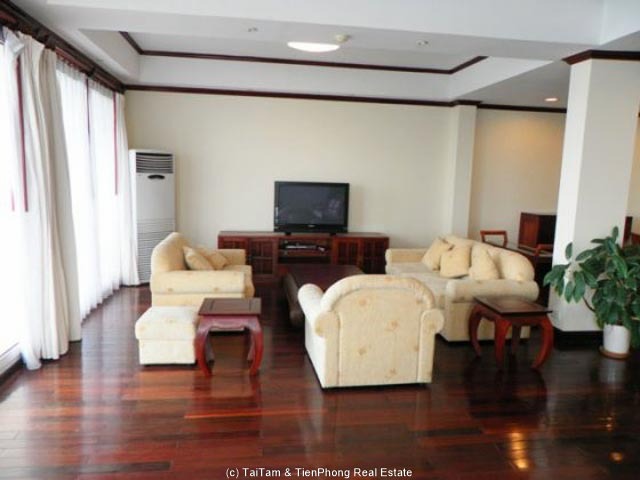 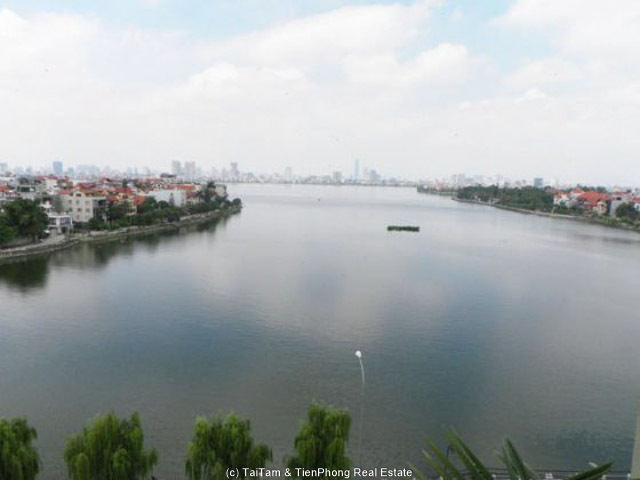 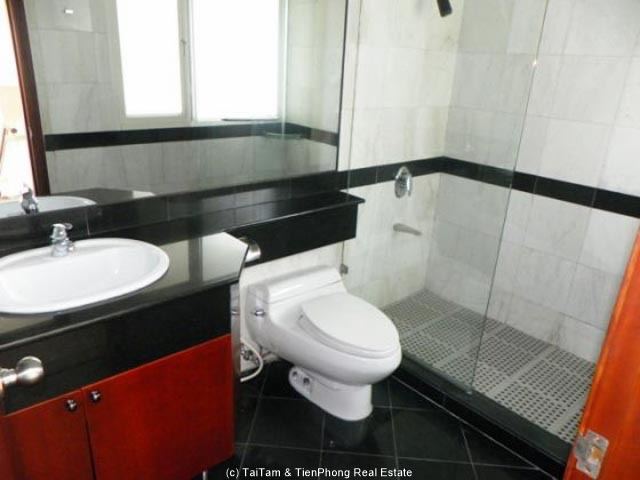 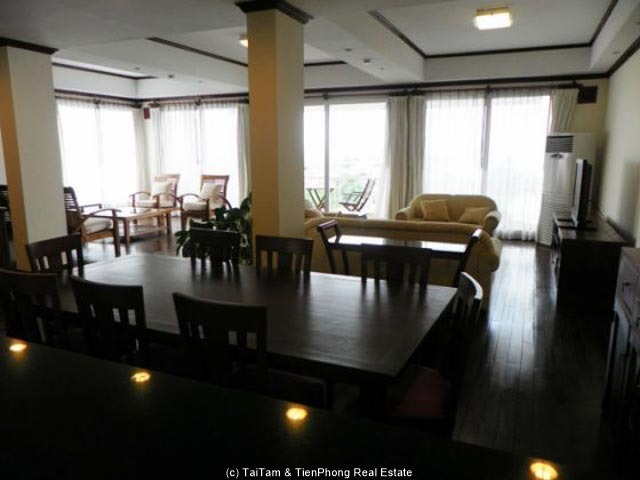 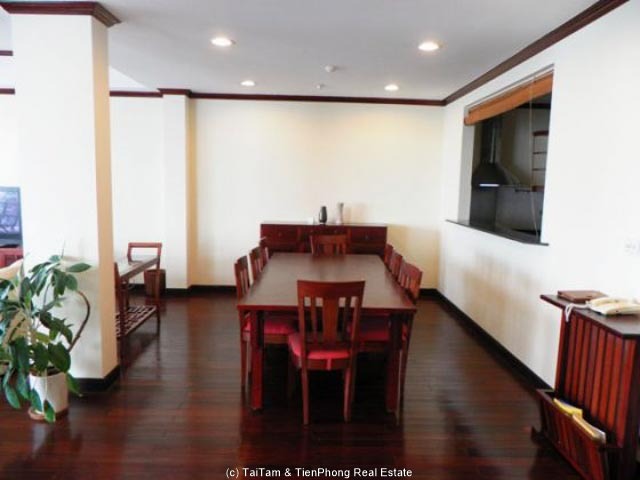 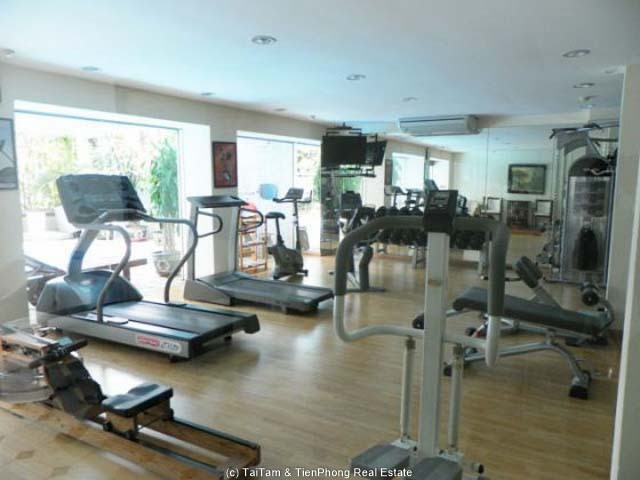 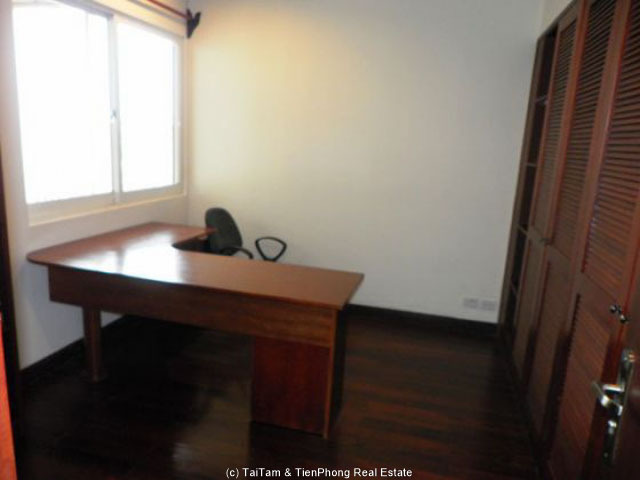 Very large duplex apartment with terrace, and a charming view of the lake, Lakeside Garden building, is located on Xuan Dieu Street, Tay Ho - West Lake, Hanoi. 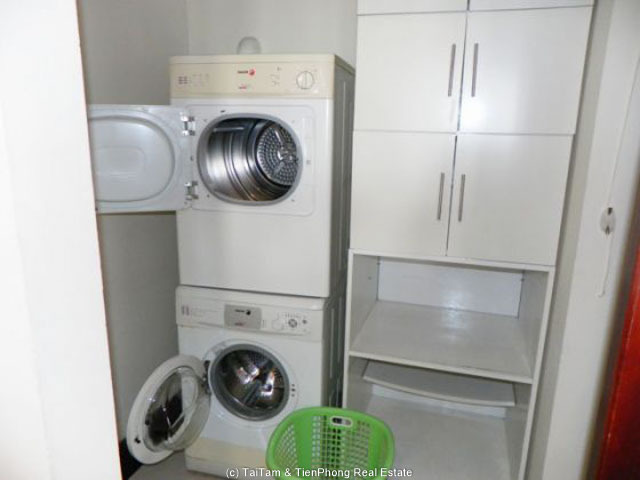 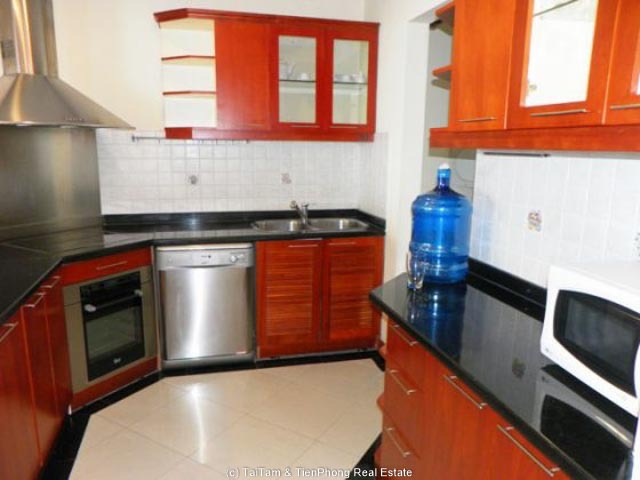 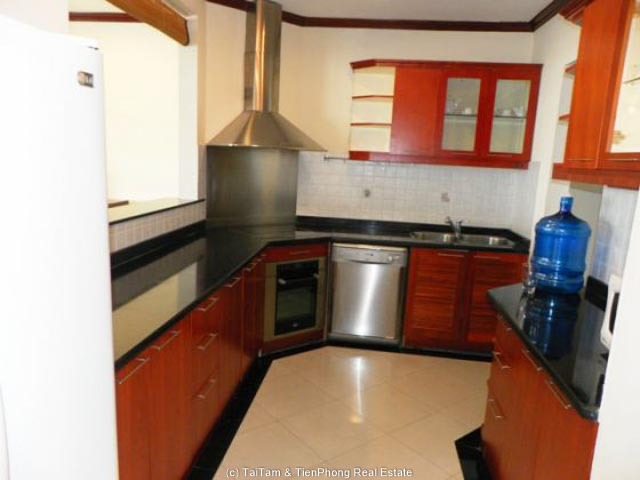 This 288 sq m duplex apartment has a big lounge area, closed kitchen with lots of storage space, built-in oven and dish washer, fridge... 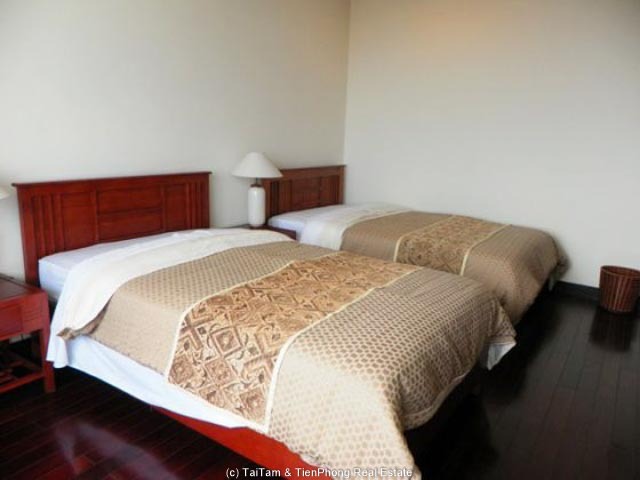 There are 02 large sized bedrooms with built-in storage, the main bedroom has en-suite bath and modern shower, the other bedroom has twin beds and storages, there is an office room which can also converted to a 3rd bedroom, as the loung area is very big where you can set up an office space there, the apartment is well equipped, with nice wooden floor and hard wood furniture. 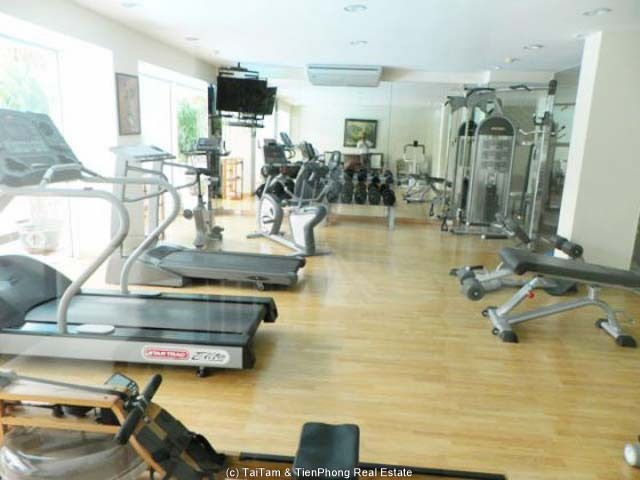 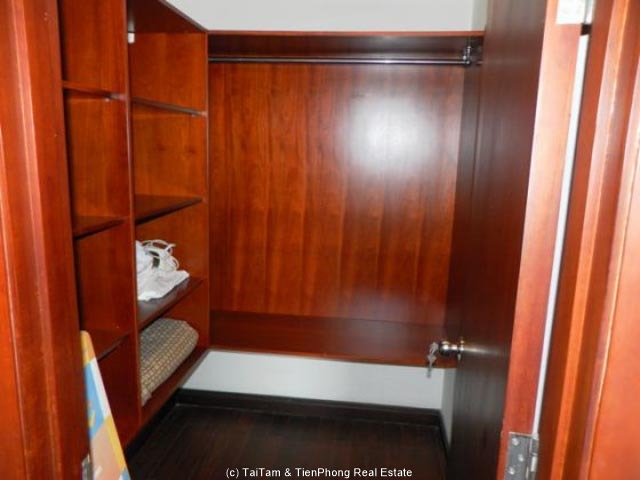 Well managed building with 08 floors, have storages, housekeeping services, gym, elevator, reception and 24h security guard.